Jaida Beaudin-Herney, 23, signed up for program because she would like to get more millennials reading the news and involved in politics. Journalist Jaida Beaudin-Herney, 23, is originally from the Membertou First Nation in Nova Scotia. When it comes to Indigenous stories, First Nations, Métis and Inuit journalists are indispensable for providing the context and nuance required for a fuller understanding of the issues. Indian Communication Arts (INCA) is a two-year program that prepares students for jobs in journalism and public relations. For more than 20 years, the INCA Summer Institute in Journalism, part of that program, has provided a unique training experience for journalism students at the First Nations University of Canada. The program is a seven-week crash course, offered every second summer. Students write articles that are published in Eagle Feather News and online; produce television stories for APTN National News and APTN online; and learn how journalists use social-media platforms such as Twitter. They have even produced an hour-long radio special for National Indigenous Peoples Day that aired on Saskatchewan’s Aboriginal Radio Network, as well as a half-hour television special, and scrummed the Minister of Indigenous Services, Jane Philpott. Students learned from professionals who passed along work experiences and life lessons to prepare them for various newsroom jobs. INCA alumni Connie Walker (CBC) and Nelson Bird (CTV) were among the 25 professional journalists who taught at the institute. I was one of the students in the 2018 Summer Institute. My classmates came from all over Canada, ranging in age, race, backgrounds, abilities and education. They came for many reasons − to update and expand their skills, find their passion again, or make important career decisions. “You’re never too old to go back to school,” Robert Merasty, 67, told his classmates on the first day in early May. Mr. Merasty is a radio journalist from Ile-à-la-Crosse, Sask., who helped launch the Missinipi Broadcasting Corporation (MBC) in the early 1980s. As a residential-school survivor and passionate promoter of Indigenous language broadcasting, Mr. Merasty signed up for INCA to relearn technical skills he had up until three years ago when he suffered a stroke, and to learn digital journalism skills he can teach the youth in his community. 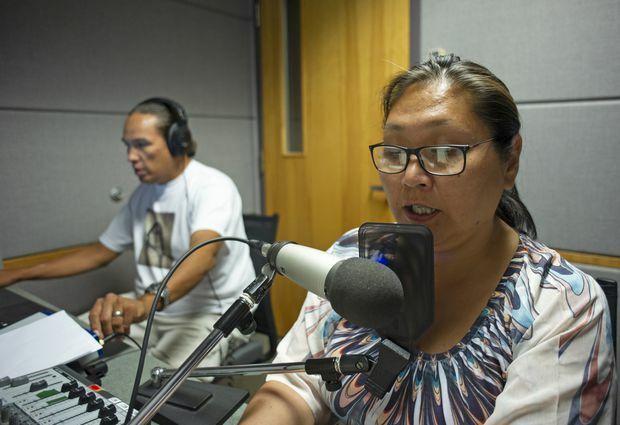 Mary Powder voices a radio story in Inuktitut in a recording studio with instructor, INCA graduate and journalist Brad Bellegarde. Mary Powder, an Inuk from Yellowknife, had just started working as a researcher and archivist for CBC North, when her boss, INCA alumnus Mervin Brass, now managing editor of CBC North, recommended the institute, “I wanted to take the challenge,” she said. “It’s interesting and makes you want to go further.” With her INCA training, Ms. Powder returned to CBC North as a reporter and backfills the host on the Inuktitut television program, Igalaaq. INCA provides the education and training students need to succeed in journalism at a critical time. Indigenous journalists can have an important role in influencing the relationship between non-Indigenous and Indigenous people. Ms. Walker, the INCA alumna, is an award-winning investigative reporter at CBC Toronto. She shared her thoughts about how we can each use our unique perspectives as Indigenous storytellers to provide historical and contemporary context. Having an Indigenous perspective means we can help people understand social issues that Indigenous communities face, including the water crisis on reserves, the impact of missing and murdered Indigenous women and girls, and the need to address the mental health and suicide crisis that plague First Nations youth. Our contextual storytelling can educate others who don’t have experience or education regarding Indigenous people. Stories by Indigenous journalists have the potential to influence those who view Indigenous people in disparaging ways or as, simply, irrelevant. Looking back at INCA’s Summer Institute, I leave with hope. INCA is the only program in Canada that offers journalism education from an Indigenous perspective − taught by Indigenous journalists who have spent decades honing their skills in mainstream and Indigenous newsrooms. The INCA program provides an educational experience that is practical and hands-on, and prepares Indigenous journalists who can bring the diversity and awareness newsrooms need. An Indigenous perspective can only come from one source: an Indigenous person. Indigenous journalists are out there, they are thriving and they are an essential resource for helping Canadians develop the understanding that they need to begin to reconcile their relationships with Indigenous people. 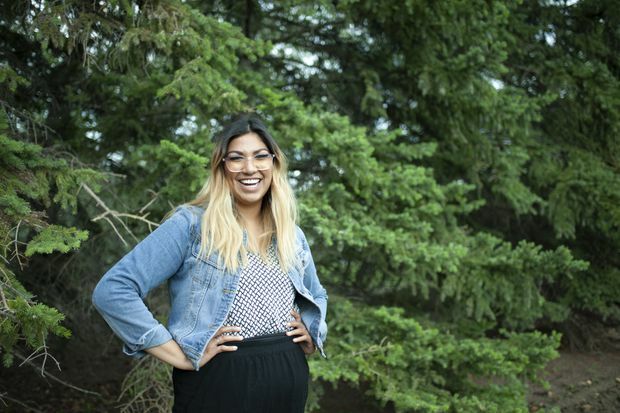 Editor’s note: An earlier version of this story incorrectly called the First Nations University journalism program Indigenous Communication Arts. In fact, the program is called Indian Communication Arts.